Bring your body back to its natural balance! Metabolic syndrome and autoimmune conditions are two sets of conditions that, if ignored, may lead to serious consequences. In case of metabolic syndrome, is a combination of the medical disorders that, when occurring together, increase the risk of developing cardiovascular disease and diabetes. Some studies have shown the prevalence in the USA to be an estimated 25% of the population, with the chances increasing with age. Metabolic syndrome’s contributing factors are obesity, stress, sedentary lifestyle, type 2 diabetes, coronary heart disease, anxiety, depression and rheumatic diseases. Autoimmunity is the failure of a body to recognizing its own constituent parts as self, thus leading to an immune response against its own cells and tissues. Any disease that results from such an aberrant immune response is called an autoimmune disease. Often accompanied by a variety of different symptoms and diseases, metabolic syndrome and autoimmune conditions have much in common from the perspective of holistic approach of Traditional Chinese Medicine. 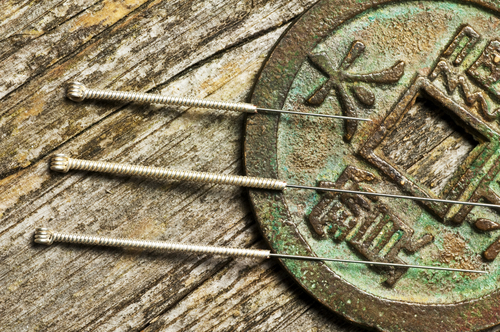 Acupuncture, as well as other Traditional Chinese Medicine approaches, restores normal anatomical function and the lines of communications between the immune system and the body. Optimal health is restored when a patient uses acupuncture, herbs, diet and stress reduction to quickly harmonize the body and quite the immune system. Acupuncture activates the immune system to quickly boost the bodies natural defenses while regulating the immune response to counter the autoimmune processes within the body.